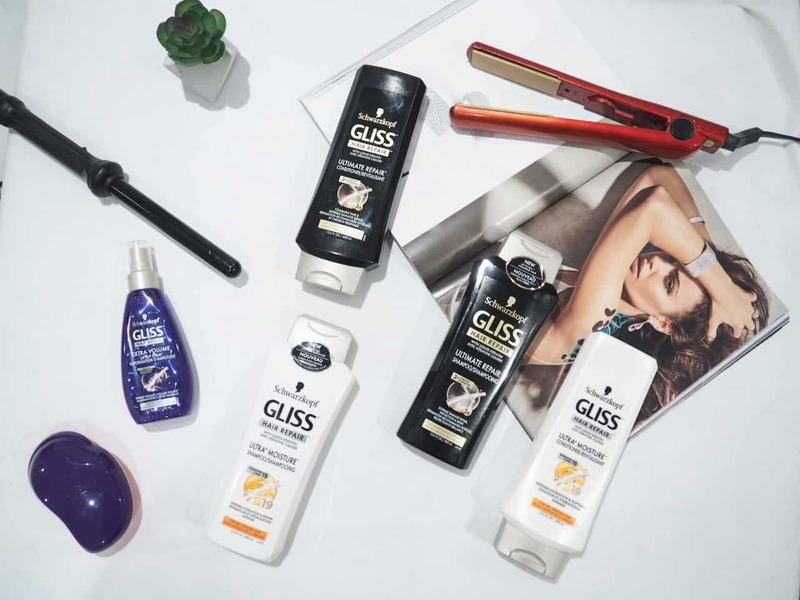 GLISS™, the world-renowned hair repair line by Schwarzkopf, debuts its innovative hair identical keratin technology in Canada at Shoppers Drug Mart. 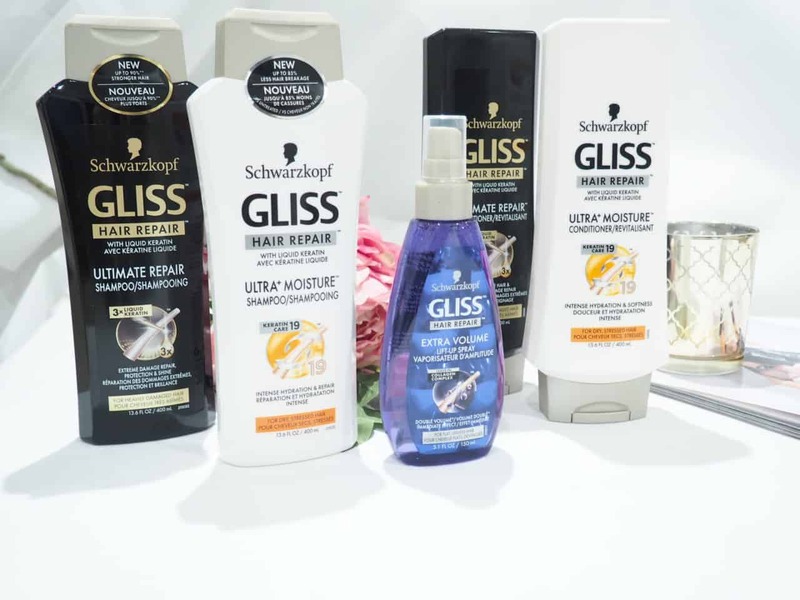 Henkel Canada has launched Gliss Hair Repair by Schwarzkopf, described as the only full product line that specifically addresses hair repair, plus other needs such as color protection and volume. 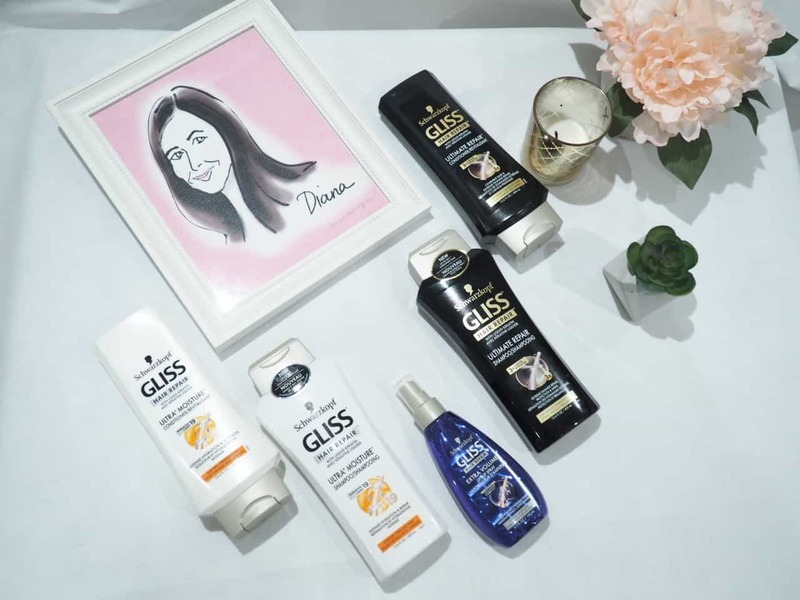 The product line encompasses five hair repair formulas: Gliss Ultimate Repair, Gliss Ultra+ Moisture, Gliss Color Guard, Gliss Oil Nutritive and Gliss Extra Volume. I attended the launch of GLISS in Canada. It was such an informative event. Okay, look at the picture of me below. How amazing is that?!! They had an artist draw portraits of everyone that attended. I love how personal this was. This was totally unexpected. It was a great personal touch and we left with hair care products that met our own personal needs. Hair is comprised of 80% keratin, a protein that gives hair its structure, strength and elasticity. Damaged hair loses keratin, resulting in a severely weakened hair structure. GLISS™ formulas contain hair-identical keratin that helps repair the hair from the inside out. “One of the hottest style trends in Hollywood this year is shiny, healthy, natural-looking hair, regardless of the styling demands being put on the hair,” says Peter Butler, hairstylist to some of Hollywood’s A-list talent. 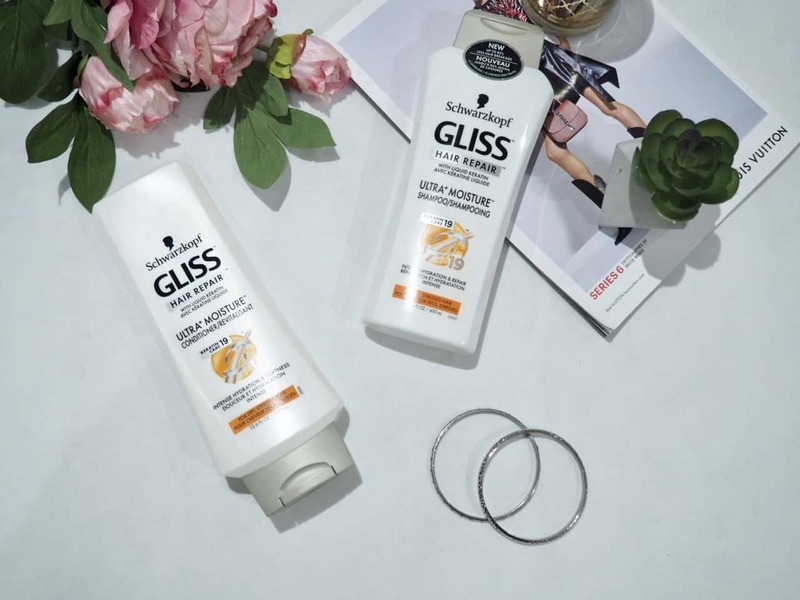 I like to switch up my shampoo so I was excited to try the new GLISS line. I decided to mix and match and try the Ultimate Repair, the Ultra Moisture, and the Extra Volume spray. I just recently cut my hair so all the damage has been cut off. I actually haven’t dyed or highlighted my hair in just over 5 +years. I use to highlight it so much that I was almost blonde, I have done a lot of damage to my hair in the past. Let me tell you though, when I see one too many silver hairs shining through my dark hair I am running to the hair salon for some blonde highlights so the silver strands blend right in. 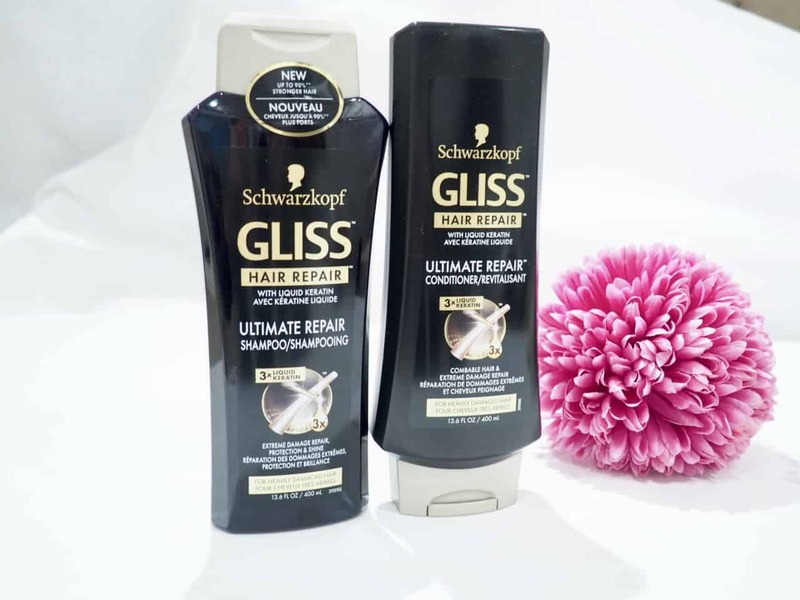 GLISS™ Ultimate Repair™: is a high-performance formula with 3x liquid keratin* to precisely repair extreme damage up to 10 layers deep and replace lost keratin, providing up to 90% stronger**, shinier hair that is soft and easy to comb. Both the shampoo and conditioner smell great. The shampoo lathers well and the conditioner is easy to rinse off. My hair is super shiny and bouncy after using this combination. 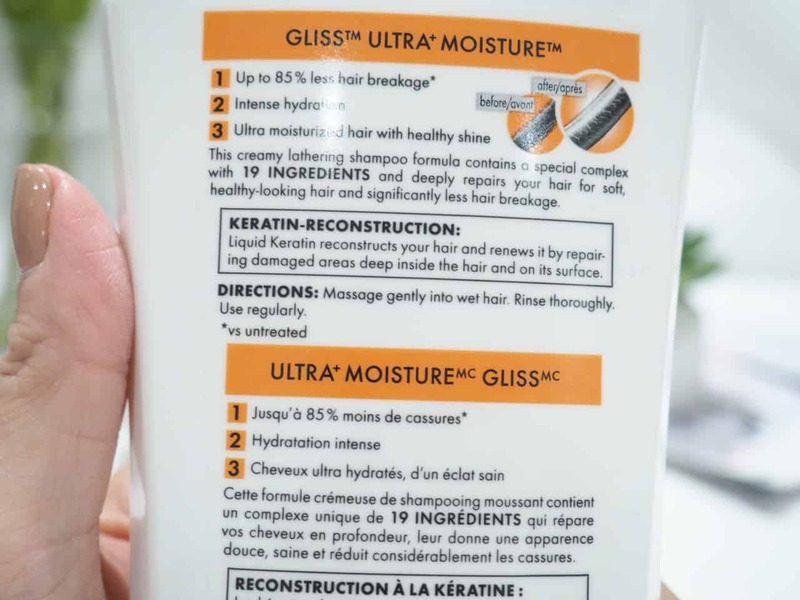 GLISS™ Ultra+ Moisture™: the shampoo is a creamy, intensely hydrating formula with Keratin Care-19, a complex that provides essential moisture for dry, stressed hair. The combination of keratin and moisturizing ingredients helps to deeply repair hair from the inside, and provides surface reconstruction from the outside. Both the shampoo and conditioner smell great. My hair is also super shiny and has great body. I love that my hair isn’t weighed down – nothing is worse than flat hair. I find some moisturizing conditioners leave my hair flat but this one doesn’t do that. 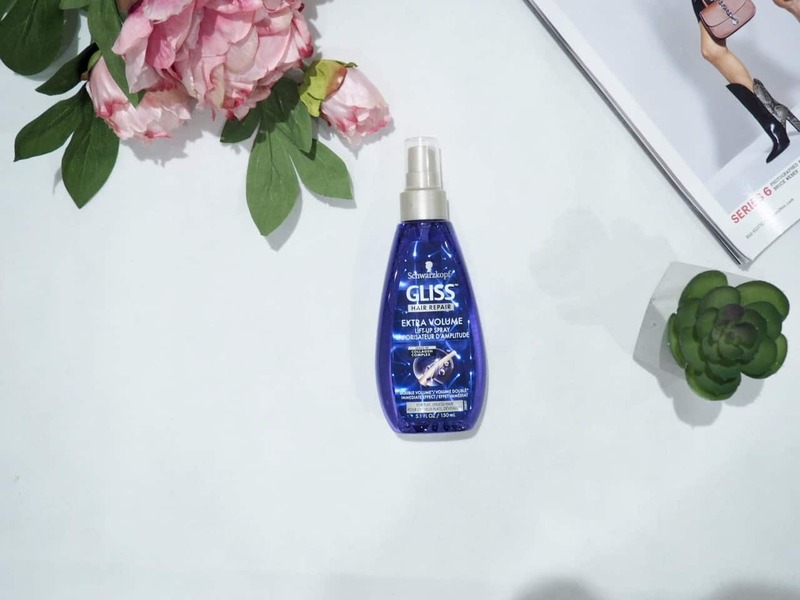 GLISS™ Extra Volume: Designed to provide long-lasting volume and strength for fine, flat, lifeless hair, this formula is enriched with Collagen Complex to repair inner hair damage and lift hair from root to tip. The result is natural, weightless volume and bounce. My hair had great volume after trying the shampoos and conditioners. This extra volume spray pumped up the volume some more resulting in bouncy hair – I love fluffy, bouncy hair. I feels so healthy and it is so shiny. I haven’t tried the other lines so I can’t comment but I am sure that they are just as fabulous as the lines I tried. I love that you can purchase these in Canada at your local Shopper’s Drug Mart location. This is a great salon quality hair care line without the salon prices. GLISS also launched in the United States. This brand launched last week – have you had a chance to try it out yet? I’m always switching up hair care brands. I love the shine and volume my hair has with these products. My daughters have been using them as well and they find that their hair is smoother, tangle free, and shiny. These shampoos and conditioners get a thumbs up from me and my daughters.